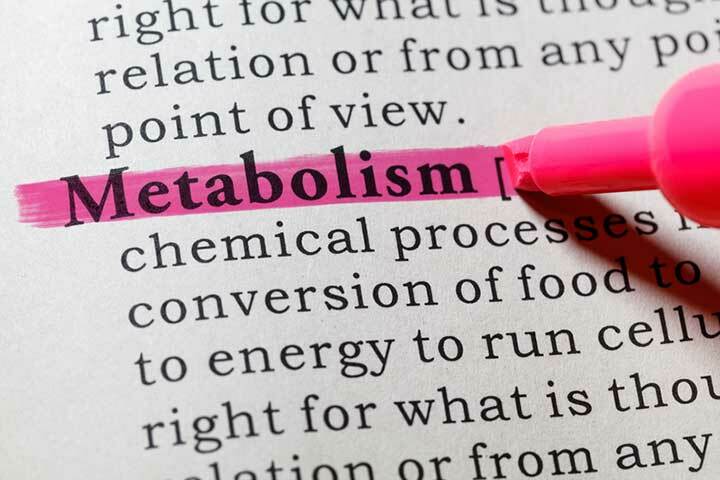 Maybe you've heard about “metabolism” without really understanding what it is. Let’s talk about what it is, how it works, and the problems you can have when it isn’t working right. A recent study found that sleep apena can have a significant effect on your metabolism because of how it can affect your blood pressure, blood sugar, and stress levels. Metabolism isn’t an organ, like the heart, or a system, like the circulatory or digestive systems. It’s actually a series of physical and chemical processes that occur in your body’s cells. These processes convert the nutrients from food into the energy your body needs to fulfill all of your vital functions such as breathing, digestion, blood circulation, maintaining body temperature, and removing waste (through urine and feces). We use that energy not only to think and move, but also when we are at rest. When we eat something, certain molecules in the digestive system, called enzymes, break down proteins into amino acids, fats into fatty acids, and carbohydrates into simple sugars (such as glucose). These compounds are absorbed into the blood, which transports them to the cells where other enzymes either speed up or regulate the chemical reactions that are required to “metabolize” them – that is, to process them to release or store the energy they contain. The energy that a food provides the body is measured in calories. When you consume more calories than your body needs, the excess accumulates as fat. Metabolism involves two types of activities: the manufacture of body tissues and the creation of energy reserves (known as anabolism or constructive metabolism) and the decomposition of body tissue and energy reserves to obtain the fuel needed for your body to function (called catabolism, or destructive metabolism). The speed and the direction (constructive or destructive) in which metabolic processes occur are regulated by various hormones produced by the endocrine system. Some examples are thyroxine (produced in the thyroid gland) and insulin (produced by the pancreas). Sometimes the system fails and metabolic disorders or metabolic diseases occur. Some of these are inherited. Most happen because enzymes or hormones concentrate abnormally in the blood or simply do not work the way they should. There are certain chemical substances in the body that can cause serious problems if they are not metabolized or are poorly metabolized. Therefore, metabolic problems should be treated and controlled as soon as symptoms appear. Galactosemia is a rare congenital (inherited) metabolic disorder. Babies born with this problem have difficulty metabolizing the sugar called galactose (present in dairy products, among others, but it is different to lactose intolerance). Phenylketonuria is another congenital disorder caused by a defect in the enzyme that breaks down the amino acid phenylalanine, which is necessary for normal growth and protein production. Hyperthyroidism occurs when the thyroid gland secretes (produces) an excessive amount of thyroxine, which speeds up metabolism. It causes symptoms such as weight loss, rapid heartbeat, hypertension, prominent or bulging eyes (exophthalmos) and a lump in the neck due to the growth of the thyroid gland (goiter). Hypothyroidism occurs when the thyroid gland either does not exist or it produces a low amount of thyroid hormone (thyroxine), which slows basal metabolism. This is sometimes due to the production of antibodies that partially destroy the gland. In infants and children, this can cause mental retardation and growth problems. In adults, it causes fatigue, a slower heart rate, weight gain and constipation. Diabetes, type 1 or type 2. Insulin, which is produced by the pancreas, is needed by the body to transport glucose into the cells, where it is converted into energy. Type 1 diabetes occurs when the pancreas does not produce enough insulin. Type 2 diabetes occurs when the body does not respond to insulin properly, producing insulin resistance. In advanced cases, the pancreas may not produce enough insulin. Typical symptoms of diabetes include frequent urination, excessive thirst and hunger. 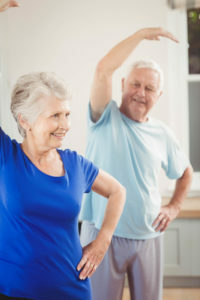 Rapid weight loss is possible, though people with type 2 diabetes tend to be overweight or obese. In the long term, if left unchecked, diabetes can cause serious complications. Among them: kidney problems (diabetic nephropathy), nerve damage (diabetic neuropathy), eye problems (retinopathy and blindness) and cardiovascular disease. Now that you understand how metabolism works, talk to your doctor as soon as possible if you have questions about your own health or think you may have a metabolic disorder. In all cases, metabolic disorders should be treated. Although they cannot be cured, they can be controlled. And people with metabolic problems can maintain a good quality of life. Take care of yourself! Source: ¿Qué es el metabolismo y cómo funciona? 2 diabetes, amino acids, calories, cardiovascular, cardiovascular disease, children, constipation, dairy, diabetes, diabetes type, diabetic, diabetic neuropathy, digestion, digestive, eye problems, food, glucose, health, hormone, hypertension, hyperthyroidism, hypothyroidism, insulin, insulin resistance, lactose intolerance, metabolism, nutrients, Pancreas, protein, sugar, thyroid, thyroid hormone, type 1 diabetes, type 2 diabetes, weight gain.